While the individual steps involved in facial fat grafting are relatively simple, it’s a difficult treatment to master. In many ways it’s best to think of fat transfer as sculpting. While almost any surgeon can pull it off, only those with an artistic flare can achieve consistently outstanding results on a wide variety of facial types. Experience matters, and Dr. Giraldo has been performing the fat transfer to face procedure with uniformly fantastic results for over 10 years. He’s certified by the prestigious American Board of Cosmetic Surgery (ABCS). While plastic surgeons can and do perform fat transfer, it’s best to choose a cosmetic surgeon who has performed fat transfer to face. Also this procedure is best performed by a Board certified Cosmetic Surgeon who has mastered the fat transfer to face procedure many times. If you’re a good candidate for injectable facial fillers such as Juvaderm then you’re most likely a good candidate for fat transfer to face as well. Ready to take the next step? Call the Advanced Liposuction Center at (724) 683-7581 today to schedule your free consultation with Dr. Giraldo and his medical staff. Marking before your procedure: immediately before your fat transplant procedure, you’ll get a chance to speak with Dr. Giraldo about any aspect of the surgery, your aftercare, or any other concerns. At this point you’ll be prepped for your fat transfer to face and Dr. Giraldo will place marks on your face with a sterile surgical marker in order to highlight injection sites. Local anesthesia and surgical facility: For almost all fat grafting procedures you’ll only need local anesthesia, meaning that the area in question will be injected with medication. You won’t be unconscious yet you won’t feel anything during your surgery. Dr. Giraldo feels that local anesthesia is much safer for the patient. There will always be some level of risk associated with general anesthesia, including death. The incidence of death during general anesthesia is very low, but it’s still present. Using local anesthesia and oral sedatives, patients will be comfortable during this “twilight” anesthesia, yet their safety won’t be compromised in any way. Another advantage to using local anesthesia for pain control is one that patients appreciate very much. Since the patient isn’t being “put under,” the procedure can safely be performed in the surgeon’s own office and the services of an anesthesiologist aren’t needed, and you won’t need to book a surgical suite in a hospital. These two things make procedures done under local anesthesia several thousands of dollars less expensive. The anesthetic used most often during this type of procedure is lidocaine, which ensures total pain control. Lidocaine typically contains very small quantities of epinephrine (adrenaline), which is the body’s “fight or flight” hormone. Epinephrine has been shown to reduce blood flow wherever it’s used, which Dr. Giraldo avoids simply by using lidocaine without epinephrine. Fat grafting, as well as almost all cosmetic surgeries, has been thoroughly researched, and this approach to pain control is considered to be the “best practice,” and is used by most surgeons today. In most older faces the primary sign of aging are wrinkles and a loss of volume which leads to a gaunt, “sunken” look.” This is most visible in the cheeks, nasolabial folds (the folds of skin between your nose and lips), underneath the eyes, and the lips themselves. Fat transplant has proven itself to be effective in all of these areas. But first, the fat that’s going to be transplanted needs to be harvested from a donor site which you and Dr. Giraldo have agreed upon prior to surgery. If a liposuction procedure is being done alongside your fat grafting surgery, the area being treated is the obvious choice. If not, traditional “problem areas” such as the abdomen, flanks, and thighs are used since the fat in these areas is hardier and many more living cells can be collected. Harvesting is a key component of this type of fat transfer to face procedure. It must be performed very gently, since by their very nature fat cells are fragile. A thin, hollow tube known as a cannula is used, which is attached to a syringe. This gives the surgeon a high degree of precision, allowing them to avoid a contour defect (divot) while ensuring that as many living cells are harvested as possible. Once harvested, all dead, ruptured cells are removed by using a centrifuge. This results in a thick liquid containing a large number of living healthy cells, and it’s critical that they be injected as soon as possible. The clock starts ticking as soon as the harvested cells leave the body since they have no blood supply, and will perish quickly. Reinjection is best performed by a surgeon with an artistic flair. It is a “sculpting” process, and multiple thin “strings” of fat are added until the area is built up enough to have a normal, natural look once post-operative swelling has gone down. Dr. Giraldo is a sculptor in several different mediums, and particularly likes this shaping part of the process. Injecting the fat in small strings also means that the cells have as much contact with the surrounding living tissue as possible. Once injected, this transplanted fat will begin to receive oxygen and nutrients from these surrounding tissues. Once healing takes place a more permanent blood supply is established, and at this point the graft is very stable and as “alive” as any other tissue in your face. Care must be taken while operating on any area, especially the face. Even if the fat transfer to face procedure is done safely and many living cells are harvested, this doesn’t mean the final results will be natural looking and attractive. If too little fat is injected the “sunken” look will remain to some extent. If too much is used this can result in the dreaded “Cabbage Patch Kid” look. The cheeks will become too rounded and the other features to puffy, and since this procedure is virtually permanent it’s critical to get it right the first time. Revision surgery is possible, but isn’t necessary if an experienced surgeon such as Dr. Giraldo performs the procedure and gets it right the first time. After your surgery, you’ll remain in the office for a very short observation period. Again, since only local anesthesia is used there’s no need for a lengthy stay in a recovery room. You’ll need a driver and should rest completely for 24 hours, but most patients are able to return to work the nest day if they want to. In most cases only over the counter pain medications are necessary, but stronger prescription meds can be prescribed if needed. After surgery you will be brought to the recovery area where you will be allowed to rest and completely recover from anesthesia. Nurses will be on staff by your bedside to make sure you are recovering properly as well as being able to provide you with pain medications and small amounts of water and/or ice chips while you are becoming more awake and alert. After you have fully recovered from anesthesia, you may be released to home with a responsible adult or you may choose to stay overnight in an outpatient recovery retreat where there are nurses on staff 24hrs to assist you with post-operative care and medications. Since these procedures are so minimally invasive stitches aren’t needed. Full recovery time is short, especially if the fat transfer procedure was done as a standalone procedure without liposuction. In any fat transfer procedure, some level of swelling, bruising, and discomfort are expected. Temporary bruising, swelling and numbness are common the first night after surgery. During this time the face will inevitable look puffy, yet this is only temporary and will subside once the post-operative swelling has gone down. It’s important to change the dressings as often as necessary, and that’s about all that is required. If you have any questions simply contact Dr. Giraldo’s office. In general, patients begin to look completely normal after about 1 week. At this point the at home part of the aftercare will begin, and it’s essential that the patient follow the surgeon’s directions exactly as written. Diet: In some cases, a patient is directed to stay on a liquid diet for several days after their procedure, mainly to avoid using the muscles of the face while chewing. In most instances, however, no dietary restriction is necessary. Medications: Facial fat grafting is a surgery, and after any cosmetic surgery there’s going to be some discomfort, swelling, and bruising. This is typically dealt with by a short course of prescription pain medications. Pain control is an important part of recovery: patients may want to manipulate painful areas, potentially disrupting the implanted fat. Pain can interfere with sleep as well, which is an essential part of the healing process. In other cases, only over the counter NSAID (Non-Steroidal Anti-Inflammatory Drugs) are needed to control pain. Bathing: Showering and bathing are allowed immediately post-procedure. It’s important to not wet the dressings on the face for 24 hours, but this is the only real bathing restriction. Activity: Immediately following your procedure, mild, non-strenuous activity is in fact recommended. This aids in the healing process by increasing circulation. This can include light housework (laundry, dishes, vacuuming) as well as walking about for 20 minutes or so. Many patients, with the clearance of their surgeon, elect to return to sedentary, desk-type jobs after a 24-hour period of rest. Regarding strenuous activity such as strength training or other vigorous exercise there is more of an absolute restriction: it’s not recommended that a patient return to these activities until at least a week has passed. It’s very likely that you’ll feel fatigued in the days following your procedure. Your face will undoubtedly feel tender, and visible swelling will probably be present. Remember that these are normal and will soon pass, but if you think there’s any type of problem contact your surgeon’s office immediately. Part of the care they’ve given you is answering follow up questions, and it never hurts to ask questions, if only to put your mind at ease. Medications: Any remaining discomfort, swelling, or bruising should be minimal (if present at all). These are easily managed with over the counter medications such as acetaminophen and ibuprofen. Additionally, many surgeons recommend using the supplement bromelain, a naturally occurring enzyme in pineapple and other tropical fruit, to aid in the healing process. Arnica Montana gel, a topical ointment containing the extract of the plant of the same name, has also been shown to decrease swelling, bruising, and in general support the healing process. Bathing: At this point you won’t need to follow any bathing restrictions unless your surgeon specifically tells you otherwise. Resume showering, bathing, and spending time in hot tubs or Jacuzzis as normal. Activity: As an aid to the healing process, gently aerobic exercise such as briskly walking, jogging, and swimming are encouraged. It is, however, recommended that exercise sessions be kept under 20 minutes to avoid burning fat in the critical period when your grafts are becoming fully integrated into the surrounding tissue. This being said, almost all surgeons advise their patients to avoid the most strenuous activities such as strength training and distance running for a period of 3-4 weeks. Most surgeons view this resting period as non-negotiable. It’s at this juncture that you’ll truly begin to enjoy your new and improved face. Throughout history and across cultures certain facial characteristics have consistently been valued as aesthetically pleasing. Fat grafting can help you achieve many of these features, including increased symmetry, firm, toned skin, and a reversal of the gaunt, hollow look associated with older faces. Ultimately it’s a question of balance and harmony, and a good cosmetic surgeon will know exactly where and how much fat must be injected to achieve the best look for your individual face. The end goal is simply to achieve a more youthful appearance while avoiding the “worked on” look, and fat transplant is rapidly proving itself as one of the best ways to make this happen. Cosmetic surgery has advanced to the point to where this type of procedure, especially when combined with wrinkle-relaxing injectable medications such as Botox and Dysport, can reverse most of the age related changes commonly found on the face. Dr. Giraldo’s advice to his patients at this part of the process is simply to enjoy the results and the added self-confidence you’ve achieved with this surgery. It is expected that facial fat transplant will become increasingly popular in the decades to come. Fat transfer to face has nearly all of the benefits of more invasive facial reconstructive surgeries, e.g. facelifts, and almost none of the downsides. For instance, the risk of scarring with fat transfer to face is eliminated altogether. 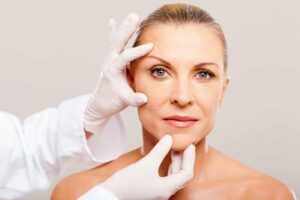 Today, many plastic and cosmetic surgeons are putting forth facial fat grafting as a sensible option to patients who routinely receive temporary filler injections. This makes financial sense, and many surgeons believe that facial fat grafting, when performed by an experienced surgeon, often delivers superior results. Another aspect of facial fat grafting that is gaining traction in the surgical community is the stem cell content of the transplanted fat. Adipose (fatty) tissue contains many such stem cells. These not only help transplanted fat cells become established but are believed to enhance the face’s natural regenerative abilities as well. There is currently much research being done on fat transfer to face. Research is mostly in non-cosmetic fields such as treating burns, regenerating lung tissue in patients with lung diseases such as emphysema, and helping sports injuries to ligaments and tendons to heal more rapidly. In the coming decades many researchers believe that stem cell therapies will establish themselves firmly in many seemingly unrelated areas of medicine. Q—Is facial fat transfer an inpatient or outpatient procedure? Due to the fact that an anesthesiologist isn’t necessary and the minimally invasive nature of this procedure facial fat grafting is almost always done on an outpatient basis. Q—Is local or general anesthesia used for facial fat transplant procedures? Dr. Giraldo performs nearly all of his cosmetic procedures using local anesthetics with light sedation if necessary. General anesthesia is viewed as excessive and unnecessarily risky by the majority of ABCS (American Board of Cosmetic Surgery) surgeons. Q—what type of anesthesia is used for facial fat transfer? Dr. Giraldo prefers to use lidocaine with epinephrine. Lidocaine is a potent, medium duration local anesthetic delivered by injection, and epinephrine (adrenaline) is a naturally occurring hormone which causes blood vessels to shrink. This minimizes bleeding both during and after the procedure. Q—How is the procedure performed? First, both the donor site (a.k.a. harvesting site) and the grafting site are surgically sterilized to prevent infection. Next, the fat is suctioned into a collection container using blunt vacuum probes known as cannulas. If a liposuction procedure is being performed as well, there’s no need to harvest from any other donor site. If not, then a small scale liposuction is performed in a traditional “problem area” such as the abdomen, flanks, or thighs. This isn’t a sculpting procedure, and only the small amount necessary for the procedure is removed. The harvested fat is purified, then immediately injected into the sunken, hollowed out areas of the face being targeted. In almost all respects, this final part of the procedure is no different from injecting temporary dermal fillers like Juvaderm or Restylane. Q—How much time does a typical fat transfer to face procedure take. If only a facial fat transfer is being performed the procedure usually takes about an hour. If a liposuction procedure is also being done much more time is needed, sometimes up to 6 hours. At no time should a cosmetic procedure be rushed. Q—How painful is fat transfer to the face? Generally, any discomfort a patient may feel is very minor. Post-operative pain can be managed with a short course of prescription pain medication, but is usually treated with over the counter medications, or in many cases no medication at all. Q—What is the fat transfer to face recovery period like? How much downtime should I expect? Recovery time is minimal, and a patient can return to most activities which aren’t strenuous after only 24 hours. It’s important to note that the face will often take on a temporary puffy appearance due to overfilling. This is necessary since not all of the transferred fat cells will survive, and typically subsides within 1-2 weeks. Q—Will I need to take any time off from work after my fat transfer to face procedure? Even though there’s no need to make incisions to perform fat transfer, some level of swelling and puffiness is to be expected. If this puffy appearance isn’t a concern for the patient, it’s possible to return to a desk-type job the next day. In most cases, facial fat transplant patients take 1-2 days off work, or simply schedule the procedure at the end of their work week. Naturally, if liposuction is also being performed the recovery time will be longer. Q—How long do fat transfer to face results typically last? The easiest simple answer is 5-15 years, largely depending on how much fat was injected and the patient’s ability to burn fat. Note, however, that the transplanted fat can be slowly lost in the coming years as a normal part of aging, just like the original fat was. As with any cosmetic surgery, facial fat transplantation carries some level of risk, with infection being the most severe. This risk, however, is extremely small. When performed correctly by a skilled cosmetic surgeon the risk of complications of any type is very small. While the anticipated results must be weighed against this risk, facial fat transfer has such a well-established record of safety and effectiveness that most patients find it well worth any risks involved.